Local charity Leukaemia & Lymphoma NI, which strives to improve survival rates for those with blood cancers, has announced funding of £790,000 to support research scientists at Queen’s University. The latest grant will be issued over the next five years to support the recruitment and development of a Senior Lecturer and a Clinical Research Fellow. It is the second time Leukaemia & Lymphoma NI has created a role for a clinical professional within the haematology team. It has co-funded a clinical trials nurse position in Belfast City Hospital and last year donated £30,000 to part fund the drug costs for the UK clinical trial AML18 in Belfast for older patients with Acute Myeloid Leukaemia (AML) and High Risk Myelodysplastic Syndrome (MDS). The second phase of the funding package will be dedicated to the recruitment of a Clinical Research Fellow. This phase will also provide support for established clinicians to participate in and support blood cancer research such as clinical trials. Professor Ken Mills, Chair of Experimental Haematology at Queen’s said: "This is a major investment by LLNI and recognises the impact that blood cancer research is having in Belfast and globally. Three people are diagnosed each day with blood cancer in Northern Ireland. There are over 130 different types of blood cancer, the three most common of which are leukaemia, lymphoma and myeloma. 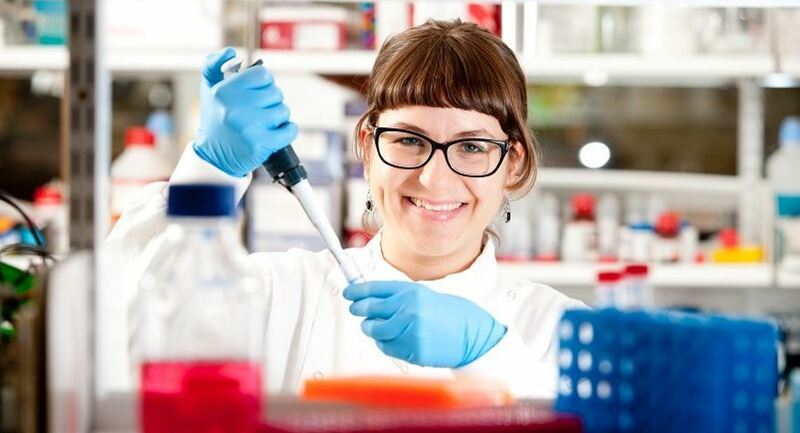 The blood cancer research group at the Centre for Cancer Research and Cell Biology (CCRCB) at Queen’s, includes a number of teams working on projects to identify, target and eliminate the abnormalities that cause blood cancer. Mr Richard Buchanan, Chairman of Leukaemia & Lymphoma NI, said: “It has been very exciting putting this package together with the Queen’s Foundation. It is a fantastic opportunity and we are confident that the position will attract a real leader in the industry. Leukaemia and Lymphoma NI is the only charity in Northern Ireland dedicated to funding research into the causes and cures of blood cancers. Established as the Northern Ireland Leukaemia Research Fund by the McDowell family in 1964 following the death of their daughter, the charity has now invested over £13 million pounds to life saving research. To find out more about the work of CCRCB or to support research being undertaken by Professor Ken Mills and others, please contact Helen Surgenor (Head of Medical Fundraising) on +44 (0)28 9097 1568. For more on the work of Leukaemia and Lymphoma NI please visit their website or contact their office (Mon-Fri 9am-5pm) on +44 (0)28 9097 2928.